It’s that magical time of year when everything looks, smells and tastes divine! If you’re in the mood for some holiday treats—because we sure are—put a visit to Old Worthington at the top of your holiday to-do list. Sassafras Bakery – While certainly delicious all year round, treats from Sassafras Bakery are extra special during the holidays. When it comes to their signature apple pie, their sticky, sweet cinnamon rolls and their beautifully decorated cream cheese sugar cookies, there's a pretty good chance you won’t want to share any with Santa. Highline Coffee – Pop into Highline Coffee this December for a tasty warm-up. They’re featuring all of the season’s favorite drinks, like spiced cider, gingerbread lattes and hot cocoa. And don’t forget about their tasty treats from the Flaky Baker. Mint brownie and eggnog scone, anyone? House Wine – Beer and wine aficionadas know all too well that certain drinks can only be enjoyed this time of year. Lucky for you, House Wine boasts an outstanding selection and will happily help you choose the right beverage for your holiday meal, like Joseph Drouhin Beaujolais Nouveau or Fat Head’s Holly Jolly Christmas Ale. Graeter’s – It’s finally here! Don’t miss your chance to enjoy Graeter’s peppermint ice cream and peppermint chip wheelies, which are only available for a short time. 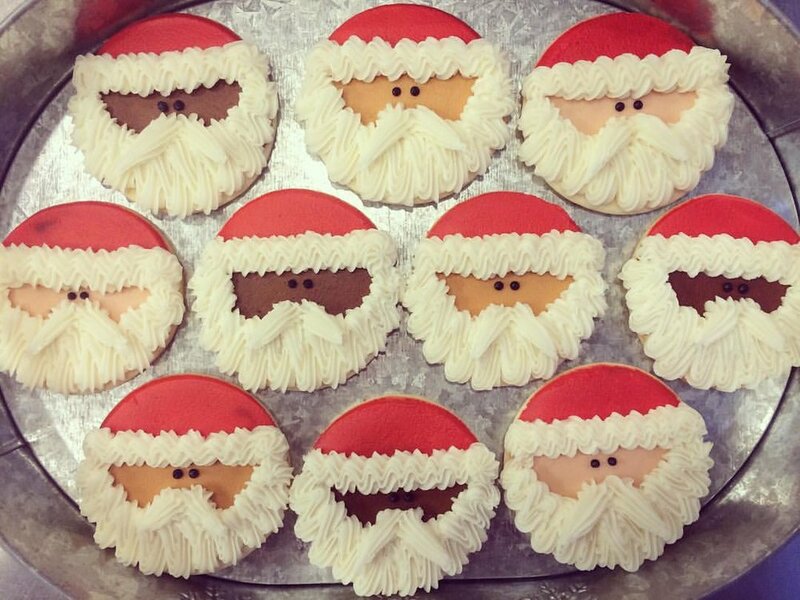 They’re the perfect addition to a festive celebration and make wonderful gifts for staff or clients. Bubbles Tea and Juice – At Bubbles Tea and Juice, you can order your favorite holiday drink three different ways—hot, iced or blended. With irresistible flavors like gingerbread chai, candy cane, eggnog Thai and salted caramel, you’ll want to try them all. 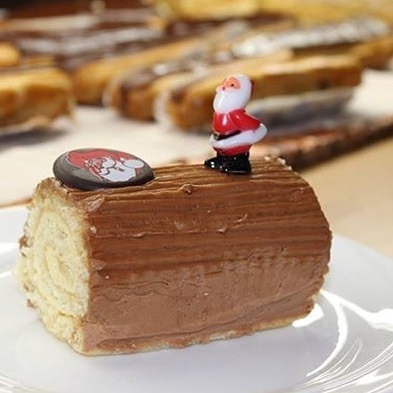 La Chatelaine French Bakery and Bistro – La Chatelaine’s famous Buche De Noel Yule Logs are back! If you’re looking for a show-stopping dessert for your holiday party, this is definitely it. These gorgeous French sponge cake and butter cream frosting creations are available in four flavors: vanilla, chocolate, mocha and Grand Marnier. Order yours for Christmas today.